Sorry about missing Tuesday, all! Things have been kind of off and on health-wise this whole week. I’ve been feeling sort of better the past couple days so hopefully it means my body’s almost done being stupid. See y’all on Tuesday! And suddenly… an amazingly design character appeared. OMG I want to cosplay her so badly. She’s perfect! The pied piper of plated persons. Hey look, Legend of Zelda! Oracle of Time! 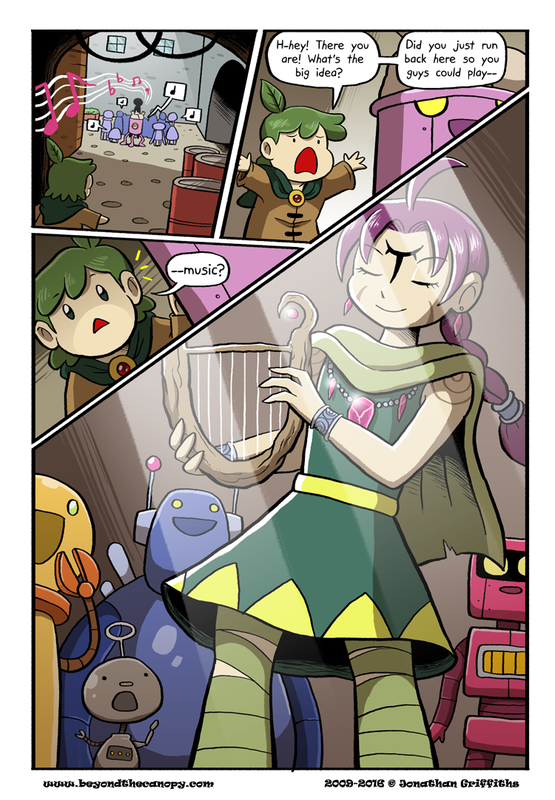 Don’t worry about the ‘bots, they’ll never call you a lyre.